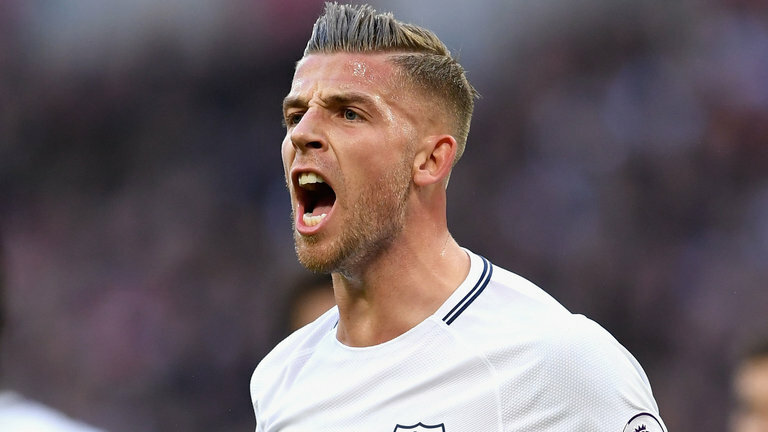 Tottenham defender Toby Alderweireld has declared himself ready to face Arsenal after returning from the longest lay-off of his career. Alderweireld played 90 minutes against Newport County on Wednesday, his first appearance since tearing his hamstring against Real Madrid 14 weeks ago. The Belgian was rarely tested during a dominant win at Wembley and the decision now for Mauricio Pochettino is whether to field the 28-year-old in Saturday’s crunch north London derby. Alderweireld was out for seven weeks last season with a separate knee problem and during both absences, Tottenham missed their main centre-back. “This has been the longest ever [lay-off], it was a little bit unfortunate there was a tear in the tendon, not only the muscle, and it just takes time,” Alderweireld said. “We had to do that time and work very hard. It’s difficult. It was a proper hamstring injury and the risk of re-tearing it was very big. Alderweireld’s return is timely given, after Arsenal, Tottenham face a trip to Juventus in the Champions League next week before the return leg at Wembley early next month. “That’s a goal in your head, to come back as quickly as possible and be strong again,” Alderweireld said. Alderweireld could return for Arsenal, then Juventus in the Champions League. Starting Alderweireld against Arsenal would not be without risk, particularly given Arsene Wenger’s side now have the razor-sharp Pierre-Emerick Aubameyang in their ranks. Alderweireld has already faced Aubameyang when Tottenham beat Borussia Dortmund 3-1 in September, and while the striker drew a blank that day, he scored in both of Dortmund’s Europa League wins over Spurs in 2016, games the Belgium international also played in. “He’s very quick, he’s a good finisher, he has it all,” Alderweireld said.”He is in a good moment now as well so it’s going to be very difficult to beat him but I think we will be ready for it.